Heating controls give you the power over the temperature of your home or work environment and allows you to regulate the temperature of the space depending on your needs. 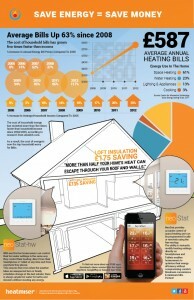 With thermostats and controls you heat the areas that need it, when they need it. More consistent temperature regulation can help to prolong the life of your boiler. 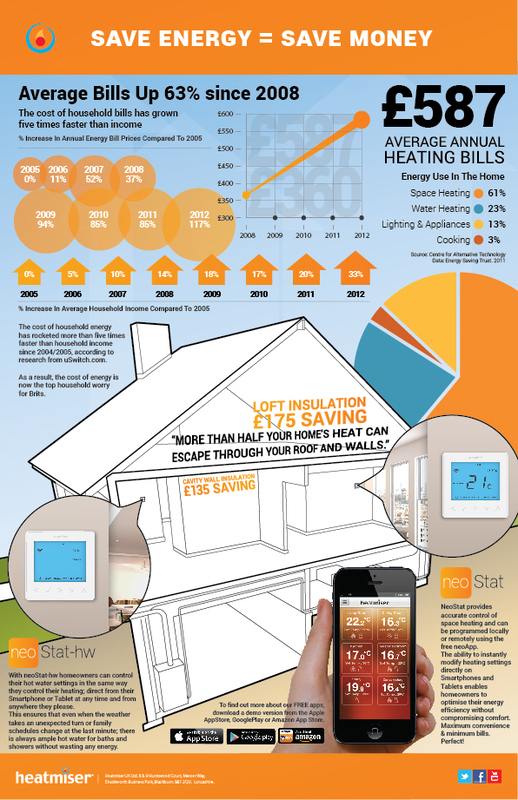 You can expect savings of at least 20% in running costs where there are no effective heating controls currently in place. However, Thermsaver have seen savings of up to 30%. More often than not, the installation process of brand new thermostats or controls, is a simple. In some cases, no new wiring is required so there’s no need for disruption, mess or expense. Once you’re programmable room thermostat is set up you can relax and enjoy the comfort of your home or working environment, the thermostat will take care of the rest. There’s no need to worry about when radiators should be on as the thermostat will work according to your settings. Our range of controls offer something to suit everyone and boast simple and stylish design that will fit in any modern environment. Our Heatmiser range offers a temperature hold when you’re planned routine changes. Holiday mode allows you to place the thermostat into a monitoring mode, meaning the thermostat will only activate the heating system when the temperature falls below ‘frost protection’. It may sound simple but our range of programmable thermostat’s from Heatmiser also feature a ‘keypad lock’ facility. This prevents modifications to programmed settings unless the right unlocking code is entered into the pad. This is a highly effective measure in households with multiple users but one bill payer, as it allows control over the environment.